Her business is built on: Dedication, Communication, Determination, & Trust while embodying the ability to cater and adapt to all of her client’s Real Estate needs. Raised in West Texas, REB LOPEZ understands the numerous intangible benefits of life in the Lubbock Area with its culture, diversity and its unpredictable weather AKA quadpolar weather (Experience all 4 seasons in 24 hours). 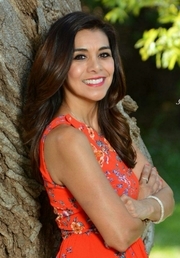 Educated at Angelo State University, receiving a Bachelor of Arts degree in Journalism/Psychology in 1993, she returned to the Lubbock area to be closer to her family then went on to work with the RAWLS College of Business, Management Department at Texas Tech University and for OXY, an oil company in Levelland. With encouragement from friends and neighbors, Reb made a career change to real estate and joined Exit Realty of Lubbock in September 2017 as a FULL TIME REALTOR! Reb is very active! Her energy and enthusiasm shines through in everything she does. Contact Reb today and let her start helping when purchasing or selling property. You’ll have a pleasant experience! Thank you for your trust and support! God Bless you!